The 2013 EQUUS SIGNATURE is the flagship sedan from Hyundai. A luxurious sedan that treats the rear passengers as well or better than those in front. 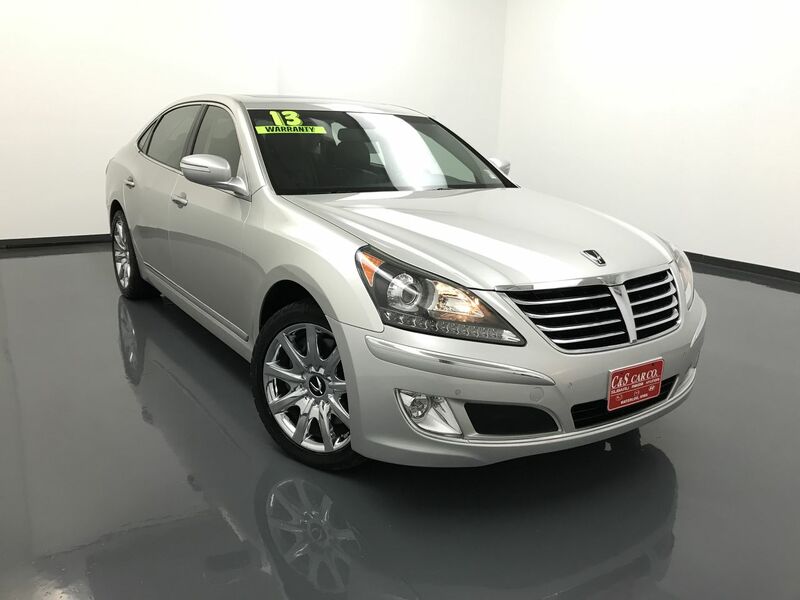 This EQUUS SIGNATURE has a leather interior with heated, cooled, and power assisted front seats, as well as a 2 person memory for the driver's seating position. There is a heated power tilt and telescopic steering wheel, and a 2 program massaging power lumbar support for the driver. Keyless entry and ignition, dual climate controls, a sunroof, a back-up camera with sensors, wood grain interior accents, a power rear sunshade...they are all here. The infotainment system has navigation, an AM/FM/CD sound system, XM satellite radio, and Bluetooth connectivity. The rear passengers are treated to heated and power assisted seats with power recline, heating/cooling controls, both power rear window controls on each side, power seat controls for the front passenger's seat, and individual reading lights. This all rides on chrome 19" alloy wheels with Goodyear tires. **One Owner** Call C & S Hyundai toll free at 866-212-8718 or locally at 319-291-7321.